Wearapy describes how you can manipulate your mood from the outside-in through style.A few years ago, Jeannie Mai started using the term “wearapy” to define her psychology of style. Wearapy describes how you can manipulate your mood from the outside-in through style. In fact, color and emotion can often be intertwined. For instance, red is a color of stimulation while blue can have a calming effect. Just like you might tend to grab a pair of black sweatpants when you’re under the weather, wearing a favorite color can have the reverse effect and uplift your spirits when you need it the most. Jeannie's favorite thing about wearapy is that anyone can try it. Her Aunt Linh, for example, is currently living with relapsing multiple sclerosis (RMS), a chronic and often debilitating disease that impacts more than 2.3 million people worldwide. With symptoms that include fatigue and weakness, there are days that her aunt just doesn’t feel her best, and wearapy becomes an important part of her routine. Her aunt refuses to be defined by her disease, so select changes to her style and beauty regimen allow her to still feel fashion-forward and on-trend despite some of the challenges she may be facing. Jeannie joins Dr. Friedman to explain how she's changing the face of fashion for those who suffer from various health conditions. 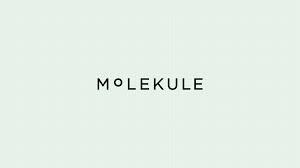 Breathe easier with Molekule, the world’s first Molecular Air Purifier. Use code “goodhealth” at checkout to save $75!